A low-flying police helicopter searching for a runaway boy hit a power line pole before it plummeted to the ground and exploded, killing both officers on board but leaving those on the ground unharmed. 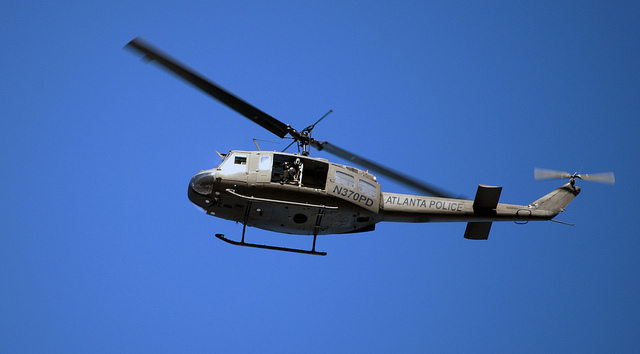 Federal authorities were investigating what caused the chopper to crash into power lines along on a busy city street. Electricity was knocked out to nearby homes and businesses in an area filled with shopping plazas, fast-food restaurants and a gas station. The 9-year-old boy was found wandering on a city street a couple of hours after the crash late Saturday night, Atlanta police spokesman Officer John Chafee said Sunday. He ran away after being scolded by his mother.